I would like to book a test drive for vehicle SEAT Leon TDI CR FR DSG + FIND ANOTHER LIKE THIS!! I would like to enquire about the vehicle SEAT Leon TDI CR FR DSG + FIND ANOTHER LIKE THIS!! PADDLESHIFT + CRUISE + 18" ALLOYS + VERY RARE COLOUR!! 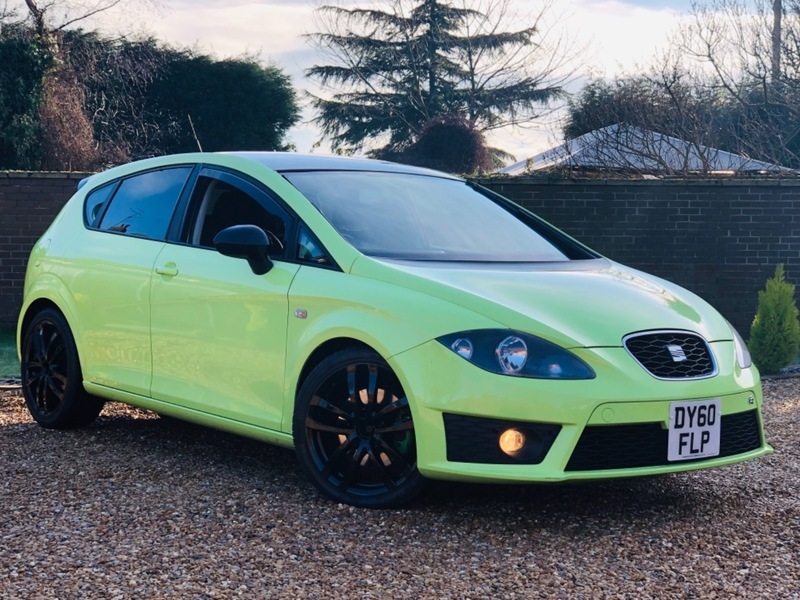 HERE AT HARIS AUTOMOTIVE WE ARE PLEASED TO OFFER THIS EXTREMELY RARE 'VIPER GREEN' LEON 'FR' DSG WHICH LOOKS ABSOLUTELY STUNNING!! EYE CATCHING LOOKS WITH A GLOSS BLACK ROOF AND 18" ALLOY WHEELS + FR EMBOSSED SPORT SEATS + REAR SPOILER + AUTO TIPTRONIC WITH PADDLESHIFT + CRUISE CONTROL + PRIVACY GLASS + CD/RADIO + LEATHER 'FR' EMBOSSED FLAT BOTTOM MULTI FUNCTIONAL STEERING WHEEL + TRIP COMPUTER + DUAL CLIMATE CONTROL + AIR CONDITIONING + FRONT AND REAR ELECTRIC WINDOWS + ELECTRIC HEATED POWER FOLDING MIRRORS + ISOFIX POINTS + FOG LIGHTS + 6 SERVICES + MOT OCTOBER 2019 + MUST BE SEEN TO APPRECIATE YOU WILL NOT FIND ANOTHER LIKE THIS !! !